Although more than 90% of people in Western cultures marry by the time they turn 50, the sad reality is that many of these couples will eventually divorce. If and when they do, they will likely require assistance from a divorce lawyer. And if there are minor children involved, the situation may become even more complicated. Child support lawyers can typically ensure that the rights of all parties are protected during this process and that the needs of any shared children are taken care of. If you’re in the process of a separation or a divorce and you’re worried about what goes into determining child support payments, you’re not alone. We hope this post will answer some of your questions and help you see the important role that child support lawyers will play during this period. Why Are Child Support Orders Necessary? Legally speaking, each parent has an obligation to support their children. Children also maintain the right to financial support from their parents. Having a child support agreement in place can ensure that a child’s needs are taken care of, that both parents share economic responsibility for their child’s upbringing, and that neither caregiver has to take on an unfeasible financial burden in order to support their child. What Should Child Support Payments Cover? As your child support lawyer will inform you, these payments are meant to cover basic expenses and living necessities for your shared children. These can include food, clothing, shelter, and medical expenses, as well as expenses for school and recreational activities. Parental needs and luxury item purchases are not covered by child support payments. The essentials for rearing a child are covered, while extras are not. How Are Payment Amounts Determined? The payment amount a parent is responsible for can vary quite a bit depending on state laws, the child’s age and development, health concerns, parental income level and earning capacity, financial backgrounds, educational backgrounds, marital status, and more. Custodial agreements also come into play, as well as the costs of daycare or educational programs. Ultimately, the state wants these payments to be fair for the child. However, some parents might argue that their payments are too high (particularly if they’ve recently been laid off or took a pay cut) or that they aren’t high enough (like when a child’s medical or educational needs have changed). 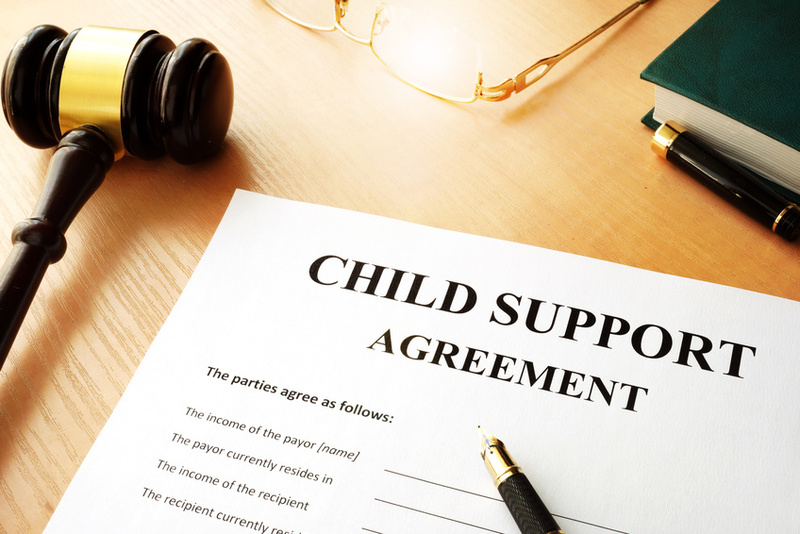 It’s helpful to have assistance from a child support lawyer when these payment amounts are first determined, but their guidance will also be beneficial if these payment amounts need to be renegotiated after the fact. Can My Ex Be Forced to Pay? In many cases, yes. If the child has turned 18 and there was no agreement to support their secondary educational pursuits, you may not receive any financial help. However, if one parent fails to pay support, this is typically referred to as “past due” support. The court will keep track of payments that are owed or are missing and the parent will be obligated to pay them. The custodial parent should also report these instances to the court, as failure to pay support can prompt the serving of a contempt order or in the filing of criminal charges. In some cases, a parent’s property or assets could be seized, their wages could be garnished, or their credit could be affected. Those who experience these situations should contact a child support lawyer immediately to ensure all the proper avenues are taken. Can Child Support Agreements Be Made Amicably? For many parents, yes. While it’s not possible in every case, the ideal scenario is for both parents to agree on a child support arrangement without ongoing issues in court. That said, both parents must agree to an amount that’s either equal to or greater than the support amount that would have been granted through the state’s calculator tool for child support. This ensures that the agreement is not in any way harmful to the child(ren) involved. Keep in mind, however, that these matters can be extremely complicated and warrant input from someone with ample experience. That’s why you should seek out a reputable family lawyer New Jersey residents can trust. For more information on child support issues and other divorce situations, please contact our firm today. Is Your Case an Alimony Case?